Description A murder has happened, your own. And with this storm, it could be days until the road is cleared up to let the police in to investigate the crime scene. You've helped a lot of the people staying at your hotel, and hurt just as many. But who would want to kill you? Investigate your own murder in this retro mystery adventure game. 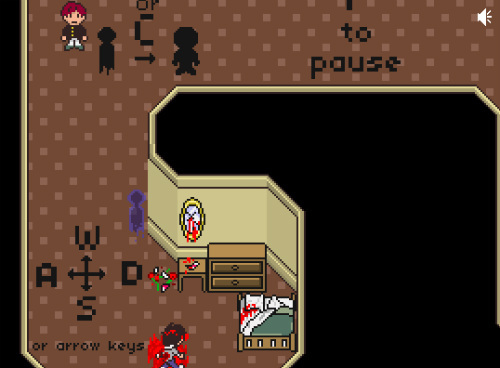 Controls Move your ghost around the hotel by using WASD or the arrow keys. Move over a guest and press the spacebar to possess their body. Open doors and talk to other people by pressing E or X. Talk to the guests from different bodies to get different answers, get more knowledge and uncover the truth!